Gaming on the Apple Watch — who would want to do that? Well, almost anyone who owns one, we imagine. Not because it has the best form factor or a huge screen... No, it's more just to explore what this tiny device can do. And that's a question plenty of people ask themselves when they shell out $400+ for a piece of tech on a wristband. A spaceship arcade game a-la Space Invaders where you control a little spaceship that is constantly auto-firing at the incoming enemy ships. You can steer either by dragging a finger across the Watch's screen or by twirling the Digital Crown. The game can also be played on the big screen of your iPhone. The Pocket Bandit is a game specifically designed for the Apple Watch. It simulates "cracking a safe" with the Digital Crown acting as a pretend code wheel. You need to follow the vibrations of the Taptic engine and discover the safe's code before you get caught. The game will also install a couple of complications for your watchfaces, so you can follow your high score. Runeblade is an RPG game developed to be run specifically on the Watch. It plays out in a very classic way — the story is presented in the form of still images and text and you choose what to do next from a list of possible actions. This one made our nostalgia senses tingle. Just like in the spirit of old cartridge games, it's a package of 24 super-simple, pixelized arcade games, all specifically designed to be played on the Apple Watch. This is one of those brain exercise puzzle games — designed to improve memory, concentration, reflexes, and attentiveness. It turns out, this type of game translates well to a small screen, so the developers made an Apple Watch extension for it. Remember good old Arkanoid? Well, this is the same type of game, brought to mobile. You control a pad at the bottom of the screen and your goal is to destroy a bunch of colored cubes on the top of the screen by hurling a little ball at them. The catch is to not let the ball fall off the screen — every time it comes back to you, you need to slap it back up. This is an arcade game where you use the Digital Crown to rotate a multi-colored ring that's on your Watch's screen. The ring is being bombarded with color-coded items from the outside and your mission is to rotate it in such a way so that the colors on the items and the ring match to each other. Much like Twisty Color above, Atomic Box is an arcade game where you rotate this box in the middle of the screen. The box has one small opening and your mission is to position it in such a way so that the black dots that are bouncing around the screen are "captured" by the box. Of course there's a catch — keep the red dots out and be careful, because black and red dots will change their roles when they bounce into each other! Yep, good ol' classic Pong, straight on your timepiece. Because why not? You use the Digital Crown to control your paddle and it's all about trying to score goals on the enemy via a small puck that's bouncing about the screen. A strategy / puzzle game that has the aesthetics of a board game. You swipe across the screen to give your "troops" their orders. The game is designed with quick bursts of gameplay in mind, so you can visit it sporadically whenever you have a couple of minutes to burn. This is a Farmville-like game, where you need to take care of crops and animals on your own virtual farm. Additionally, you are tasked with fulfilling orders and hiring workers in order to expand your business. 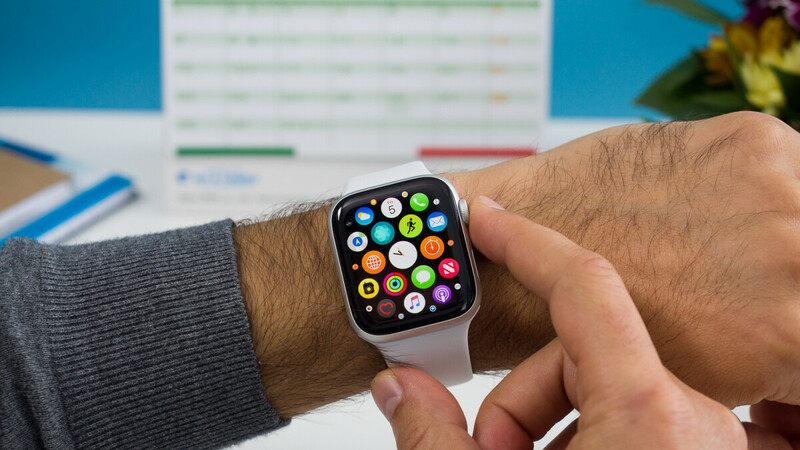 The game is fully playable on the Apple Watch, so you can check up on your crops and give out a few additional orders while on the go, without touching your iPhone. This is a one-tap arcade platformer. You've got a monkey trat auto-runs to the end of the level, but your mission is to make it jump by tapping the screen, so it avoids obstacles and collects as many bananas as it can along the way. The game has a mini-version for the Apple Watch where you are instantly dropped in a level and it's all about how long you can last before hitting something sharp. An Apple-Watch exclusive RPG developed by none other but Square Enix themselves. Thematically, it's about a quest through the endless rift in an attempt to find a Goddess and restore Time to your world. Get it? Time — because it's played on the Apple Watch. The gameplay is a bit basic and we are not sure it warrants $9. But if you are a fan on Square Enix, JRPGs, or your Apple Watch, it might be worth putting this one on your deals watchlist. A game that simulates the old LCD handheld consoles we used to have in the 90s. And most of these were, of course, Space Invaders — you control a small cannon at the bottom of the screen and your goal is to shoot down "aliens" before they touch down. A choose-your-own-adventure story, which allegedly has a ton of possible endings. The Apple Watch extension makes it easy to sneak in a tough choice or two while stuck in a boring situation. Get it? Because it's a tiny quest! This game has you navigating dangerous mazes, avoiding snakes, mummies, spikes, and whatnot. The catch is, you only get to see the level's layout for a few moments, before you are presented with a black screen. Now, you need to navigate by memory. So, essentially, it's one of these memory-training games.